Teaviews.com is an online collective of tea lovers and reviewers from across the United States and Canada. 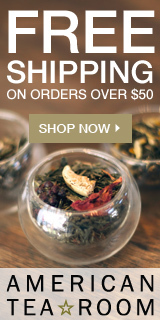 All members receive free periodic shipments of high quality tea samples, which they select themselves from the inventory of samples, to taste and review on Teaviews.com. The tea samples come directly from tea vendors all around the world, large and small. All of the reviews are published at Teaviews.com, along with other tea-related posts. Teaviews.com is completely unaffiliated with any tea manufacturers or merchants, so the reviews remain 100% unbiased.